We aim to enable communities to improve their health by providing medical equipment, facilities and training. The greatest impact on reducing blindness is achieved by lens implants, and providing prescription or reading spectacles. The main activity of the Health and Welfare team is to upgrade basic nurses with an ophthalmic specialism to become integrated community eye care workers. This offers a solution to the perpetual problem of difficulties retaining medically qualified ophthalmic surgeons, and to meet the great demand for nurse-led diagnosis and treatments. To date we have raised over £10,000 to support this project. Fundraising will continue over the coming months. £550 was donated in January 2014 for the purchase of consumables..
Close links are maintained with the Eye Clinic, both to support the Manager and in order to provide additional help where needed. For example, tools were recently provided for the spectacles unit technician. 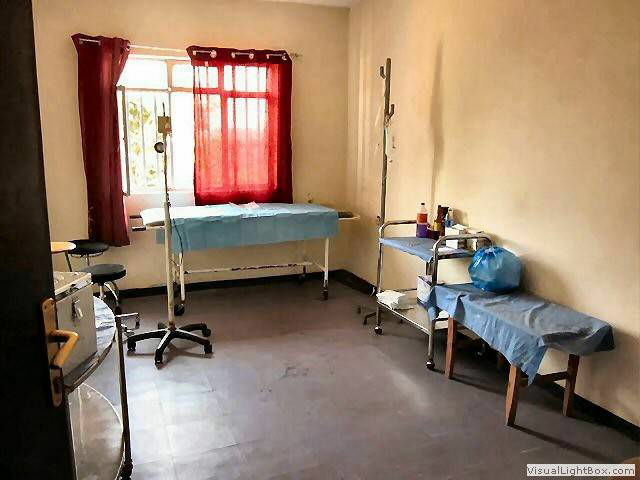 - Medical equipment and plumbing repairs for Nekemte Hospital. - Nekemte Hospital water supply project 2001-2. British Embassy grant of £5,000. - Emergency medical supplies for a severe malarial epidemic. - Nekemte Eye Project, 2005-9. Financed with £150,000 grant from the Four Acre Trust with £30,000 contribution from Exeter Ethiopia Link. The first Eye Clinic in Western Ethiopia serving a population of several million. - A spectacle-making unit and two wards added to the Eye Clinic 2010-11. Working with Exmoor Rotary.